Honda is recalling over 5,000,000 vehicles for potentially defective airbags that might seriously injure or kill you when they turn their metal innards into flying shrapnel. We don't know how many have been injured or killed, however, because the Feds think Honda may not have reported it. Federal law requires automakers to submit quarterly reports on deaths and injuries, warranty claims and other incidents. Legal claims alleging that a defect caused a death or injury must also be reported. 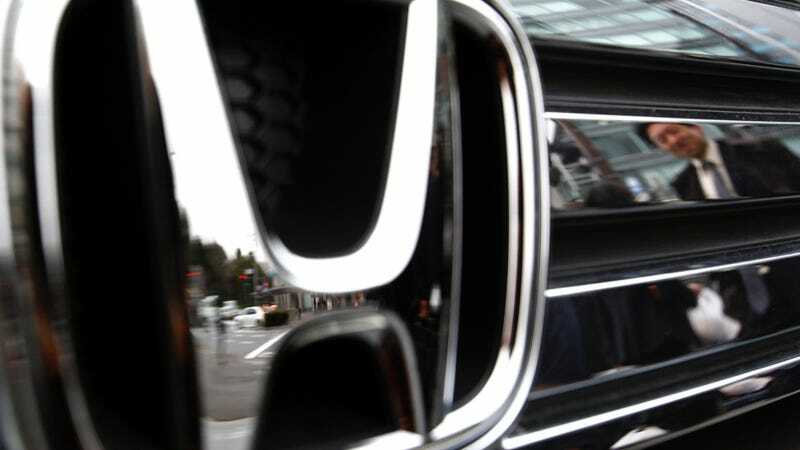 The National Highway Traffic Safety Administration says Honda may have failed to report incidents related to Takata air bags as well as other defective parts. It's unclear for the moment whether or not NHTSA thinks Honda made an active effort to cover up the deaths, or whether or not Honda just made an error in calculating its own death toll. We'll probably find out soon, though. The maximum fine Honda could get hit with from the federal government is just $35 million, as the AP notes. And that is a relative pittance, which is a shame for people who believe in actual corporate deterrence.